Elliot Hanowski draws on the history of Canadian unbelief to argue that ideological labels should not overshadow the pragmatic way unbelievers of all stripes actually behaved when dealing with the broader society. Ideas never stay pure and unadulterated when they spread through human societies. Likewise, ideological labels rarely reflect the pragmatic ways human beings appropriate, revise, and apply those ideologies based on the needs of the moment. Historians of nonreligion, who often trace the social history of ideas, need to be keenly aware of this fact. For example, the twentieth century saw a wide variety of labels applied to unbelievers: from rationalists, humanists and freethinkers, to secular socialists, anarchists and communists. Their diversity has been one reason that a unified social history of unbelief has been slow to develop. A broader approach is possible, but it will require historians to look at unbelievers not just as repositories of a particular intellectual formulation, but as people who took practical steps to navigate and contest a culture that was hostile to their views. Franski challenged a local minister to a debate on the question ‘Does the Bible serve any useful purpose?’ The Saskatoon branch of the Worker’s Party wanted nothing to do with the event, but McEwen agreed to help out by reading aloud the Bible passages on which Franski wished to speak. When the big night came, the hall was packed to capacity with an eager audience. McEwen’s story illustrates one major divide between different types of twentieth-century unbelievers: those who saw religious delusion as their primary opponent, and those who saw it as a symptom of some other, deeper malady. This dividing line has sometimes been drawn between Marxists and non-Marxists or between rationalists and socialists. But the incident above suggests that the distinction was often as tactical and situational as it was philosophical. In different settings, however, we can find Communists and other Marxists deciding that religion was an ideological buttress of the capitalist system and therefore some vigorous god-blasting was in order. It should be recalled that Franski drew from both the freethought and communist traditions, and he was not an aberration. In the 1920s, the Marxist One Big Union printed a great deal of skeptical material in its newspaper and sponsored a cross-Canada tour by famed British rationalist Joseph McCabe. When the OBU’s stance cost it support, however, it performed an about-face. New editorials argued that pure Marxism stressed actions, not metaphysical beliefs, and that Christians and atheists could work together against capitalism. Many non-Marxist rationalists and secularists also had to calculate their priorities. To be sure, some saw religious belief as the main cause of human suffering. If people stopped gazing up at the next world and lowered their eyes to this one, the argument ran, they would be motivated to make the best of this life. On a pragmatic level, however, many of these unbelievers had leftist sympathies but found themselves involved with an association (or even a publishing concern) which, for its own survival, had to appeal to the widest possible audience. Politics could be too divisive a topic. It was thus simpler to focus on religious fallacies instead. But the need for an audience could cut both ways. Marshall Gauvin, a rationalist lecturer based in Winnipeg, had a substantial working-class following throughout the Great Depression. Gauvin was an idealistic socialist with serious reservations about Russian Communism. During the mid-to-late 1930s, however, his audience was so supportive and interested in Communism that Gauvin gave numerous lectures praising the movement, including a particularly fervent one entitled ‘Russia: Humanity’s Living Christ.’ He would later regret these talks, but at the time they seemed necessary to retain his popularity. The examples above are drawn from my own research into Canadian unbelief, but I suspect that scholars seeking to understand the history of nonreligion elsewhere in the twentieth century will also encounter these sorts of tensions and divisions. I would urge them, from my standpoint as a social historian, to consider how intellectual or ideological stances were often negotiable, driven by the desire for influence or the need for survival. Kolasky, J. (1990). Prophets and proletarians. 1st ed. Edmonton: Canadian Institute of Ukrainian Studies Press, University of Alberta. McEwen, T. (1974). The forge glows red. 1st ed. Toronto: Progress Books. 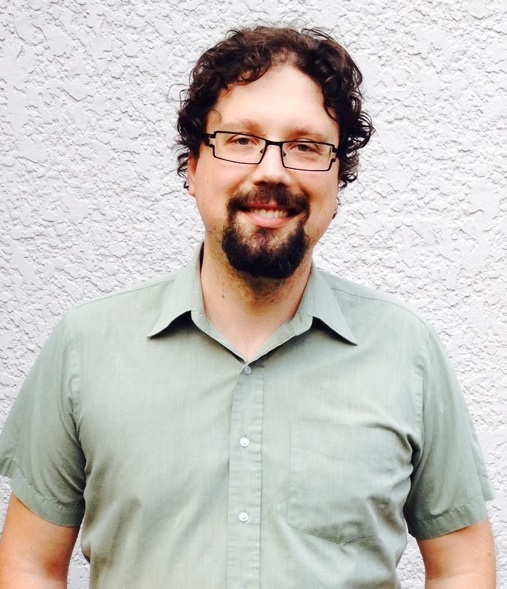 Elliot Hanowski is a Ph.D. candidate in the Department of History at Queen’s University in Kingston, Ontario, Canada. His dissertation research focuses on militant unbelief and religious controversy in interwar Canada. This entry was posted in Historical, NSRN Blog and tagged Atheism, Canada, Elliot Hanowski, freethought, history, secularism. Bookmark the permalink.